I am leaving today for CHA and I'll be gone for a week. 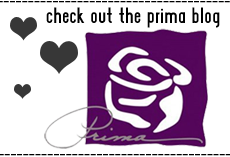 I can't wait to see all of my dear friends from Prima--I just love spending time with them at the shows! We have an amazing release that I can't wait to see in person. I hope that if any of my online friends are attending-you will stop by and say "Hi"! I love meeting everyone IRL! I have some layouts to share before I go. This LO I have as a Bleuprint sketch over at Bad Girls, called "How does your garden grow? 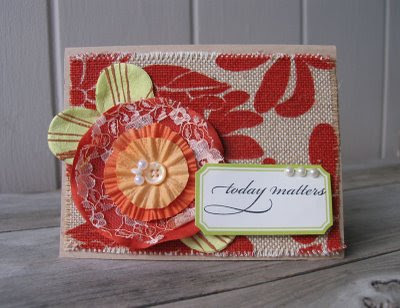 I used the new paper line from Prima called Paradise City--amazing colors and patterns to work with. Vintage yet modern. So cool! This is the same paper line from Prima. I framed in a photo of Bryan running down the beach-I just love that photo. I added lots of pearls and some gorgeous new flowers and leaves. The back is an embossed transparency they released at the last show. And then I featured Kate and Bry using packaging for photo mats, and gorgeous new fabric flowers and pearl swirls. Oh..and a new birdie too. BAD GIRLS NEWS!!! It's Bad Girl's Birthday and we are celebrating in style! Go directly to the Bad Girls blog for details on how you can win $150.00 in prizes...gasp! It's easy, fun and exciting! Wendy always knows how to celebrate in style! That's all for now friends! Hope you're enjoying your summer....I am! But it has been so busy with projects, classes, and getting ready for CHA! I have some LO's ready for the Prima booth and I'll be able to share them with you before I go. I just have to wait for Prima to post them on their blog before I can put them out there. It's so hard to wait and not share all at once. Their new lines have to be some of my very favorite to date! 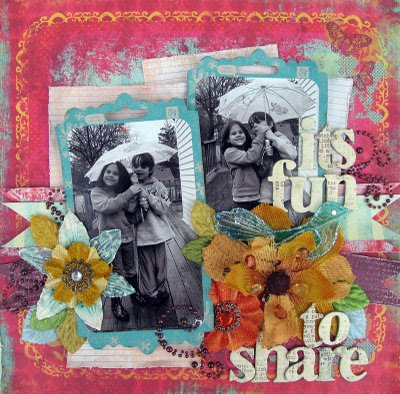 Adrienne, my sweet friend, has come out with some of the coolest paper lines I have ever seen! So different and so rockin! 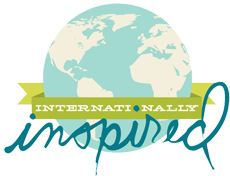 IOD came out with a gorgeous new line that is so soft, magical and in a color combo that will push everyone outside of their comfort zone--which to me--is so exciting! And the flowers......let's just say-they are gorgeous, fun and so different from anything out there. I don't know how they keep coming up with amazing products every time....but they do! The list goes on and on, but you can see everything for yourselves over at the Prima blog. 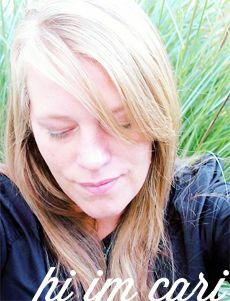 Too much to mention and I think you'd rather see everything instead of me rambling on about every little thing.....LOL! Here is another LO I can share! Miss Frankie-the adorable little baby that steals my heart! Holly is so lucky to have such a sweet baby! My dear frined Nic took this photo of her during one of their sessions. Nic-you are becoming quite the photographer!! And thanks for letting me use this pic! MMMwwwaahh! The new paper line is Animal Bash by Adrienne Looman for Prima. I just adore the hand drawn animals and squiggles as well as the colors---LOVE it! On another note-This is the OA mini i am teaching tonight at my LSS. The mini was a labor of love. Can you say...a ton of pages?? Hope everyone likes it!! 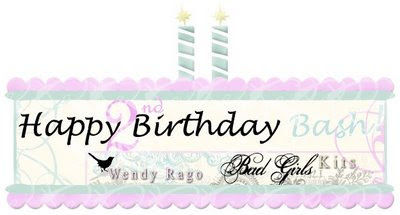 And, last but certainly not least, my sweet friend Jeni B. is teaching a fab class over at Bad Girls! Lots of ideas and how too's using felt! I love that stuff! She is too cute and her classes rock! I think you'll have a blast creating once you take this class. 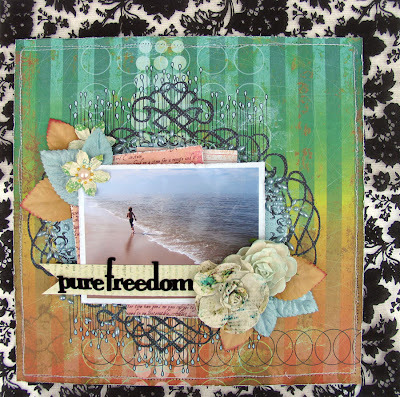 This technique based class with open your eyes to all the treasures hidden inside your current scrap stash. Together we will transform felt, ribbon, and fabric into adorable accessories and unique embellishments that will be perfect for any outfit or project! We will use found items around your home as well as find new uses for old "doo dads" in the back of your embellishment drawer. No previous sewing skills are necessary to create your one of a kind Swaynk©. If I can make these, anyone can make these. This will be a three part class full of fun and different techniques that you will be able to use to futher enchance your all around artistic skills. I will demonstrate many different looks that you will be able to achieve as well as explore different uses for your Swaynk©. Techniques will be shown by video as well as step by step photographs. Just a few of the items we will make together are page embellishments, rings, bracelets, headbands, ponytail holders, gift toppers, and to bring a little Christmas to July we will also be decorating a Christmas tree! I am so excited to teach this class and can't wait to start making Sywank© with you! That's it for today! I'll be back soon with more projects and stuff to share! CHA is approaching fast and I am so excited to see my friends from Prima-love them! 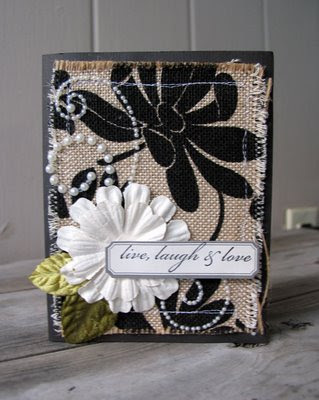 I have been so busy creating projects using their new gorgeous stuff-I think it will knock your socks off! I never seem to get tired of flowers, they add so much to my pages....The dimension is what does it for me I think. Well-I just pour it on, that's how i roll-LOL! Gaudy as ever and I can't stop. I tried to use every single thing they sent me. I still have more to do! Here is one of the LO's I made recently and it looks familiar-right? A LO about my blog! 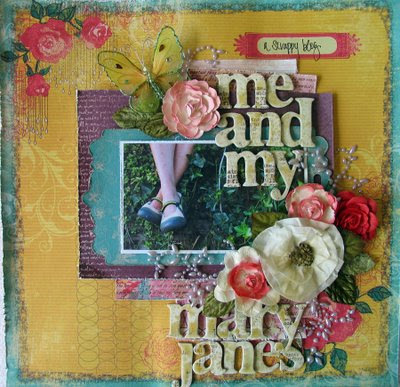 I used Adrienne Looman's new line -Paradise City, New Butterflies (swoon), Pearl Vines, Fairy Ring and roses. Then I added Walnut Gold Glimmer Mist to the whole thing-concentrating on the letters. I let it pool up on the chipboard letters and dried it that way. I love the result! I can't wait to share more soon-it's killing me to keep them under wraps! And i have a dumpster diving story to share in the near future. I can't go into details right now because a certain someone reads this blog and she can't know until after her surprise. It's an adventure that caused Sherry to break pieces off of a Rescue Mission crate....Ken is in serious trouble right now :) LOL! I wanted to say a big Thank You to some of my friends that commented on here about the Cosmo Cricket call---you guys know how to make my day! I am so lucky to have great friends from all over the world! Needless to say-I didn't make the final cut but that's OK-I am still happy I got the chance to try. And the finalists are all amazing! They have a tough decision to make! I am so happy for the girls who made it-especially Heidi and Amy! Good luck girlies! 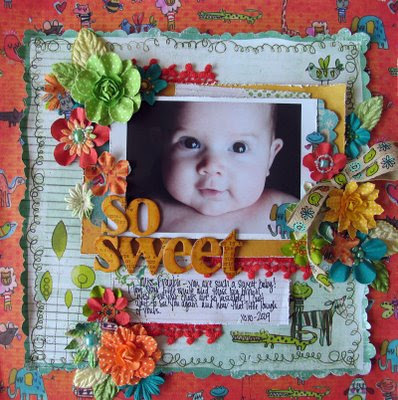 I have been busy creating new LO's for Prima. Their new releases are amazing! Once I get the OK from them-I'll start sharing! They have been posting all of the new releases on the Prima blog--go check it out! So in the meantime-I'll share some cards I made recently. 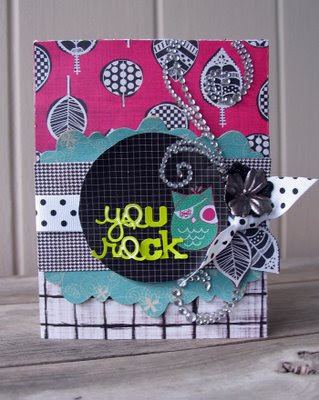 This card was made using the Rebel Line by Adrienne-she rocks! I also used some prima packaging and swirls. 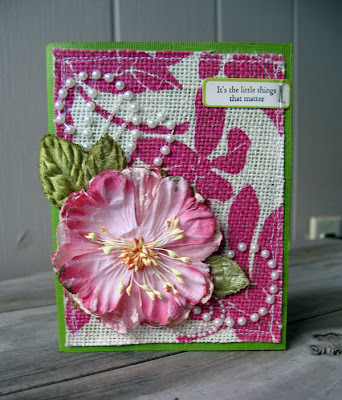 Then I got out the burlap and made a few cards with it. I just love this stuff! My good friend Joanne Smith has been creating her own stamps--they rock! I used a couple on these cards. I just love her sentiments and style. She gave me a couple more that I can't wait to use on some LO's. They are so cool! This first card I used an A Muse sentiment but the other two are from Jo. Like I said before-I'll be back with some new stuff to share....it's so hard not to!